Pizzeria Casavostra is a Mediterranean restaurant, with a focus on Italian food, in a laidback-chic and contemporary ambience that makes you feel at home. Well known for serving Algarve's best pizzas since 2003, this Italian canteen joined the interior design and lifestyle shop Alquatro in 2011, which resulted in a fantastic well designed contemporary space, with a pleasant terrace for the warm Algarve climate. Our philosophy is to unite good taste in Design and unpretentious food with a focus on the quality of the ingredientes, a space where people not only eat well, but where they feel good. Casavostra is an everyday place for all occasions, that has quickly become a reference for locals and travellers alike all year round. Thin, tasty and crispy. 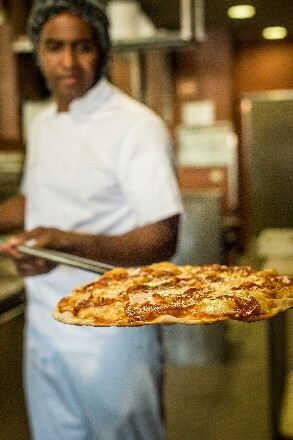 Made in the Italian wood oven, Casavostra's pizzas are one of the menu icons. Every day the Chef pizzaiolo recreates the recipe that opened the restaurant in 2003 and famed Casavostra as one of the best pizzas in the Algarve. Our pizza is defined by simplicity, respect for the tradition and quality of the ingredients (many of which either from Italy of from our own garden). Currently with 22 different pizzas, mainly of classic mediterranean flavours, this is the place of choice for pizza lovers. Pizzeria Casavostra is open everyday, from 12h until 23h30. Booking is recommended, either by email, with a minimum of 24h advance, or by phone. Our menu offers a combination of the best italian ingredients with the best local produce, in na unpretentious classic Mediterranean kitchen that values simple and natural flavours. Pizzeria Casavostra is the ideal space to hold your grou por company dinner. Subject to previous booking. During the months of July and August group menus are not available. The new generations of the Cálem Louro family continue to honor the families’ connection to Wine. Whether it is through the centenary Cálem Port Wine or the more recent Quinta do Sagrado (Douro), Quinta da Ferradosa (Douro), Quinta do Mouro (Alentejo) or Adega do Monte Branco - Alento and Casavostra (Alentejo), our wine menu reflects our pride in the family tradition. This connection to the producion and he commitment to serving "farm-to-table" products allows us to offer our customers national wines with excellent quality-price ratio. Alternatively we also have a good selection of Italian wines, such as Lambrusco, Chianti Classico and Pinot Grigio. At Casavostra we carefully select the ingredientes we use. In our dishes we use many herbs and vegetables from our own vegetable garden, which creates a more natural and flavoursome final result. Like this we guarantee the maximum freshness and quality of our produce, like the famous arugula, basil and other herbs that makes all the difference. 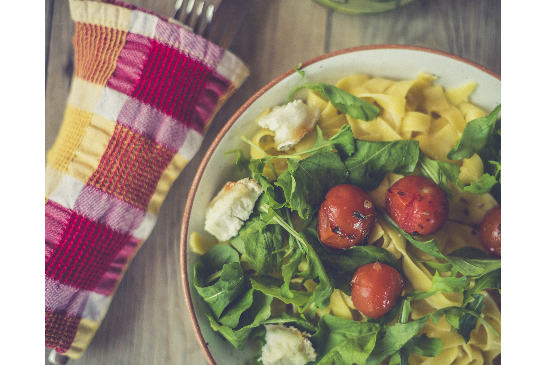 The ingredients used in our recipes grant the utmost quality and freshness, just like arugula, turnip greens or other herbs which make all the diference. And the kitchen and garden are in plain sight because there is nothing to hide. Pizzeria Casavostra in Almancil is a laidback chic restuarant with an authentic and tasty menu. We invite you to visit us, and just feel like its casa vostra!